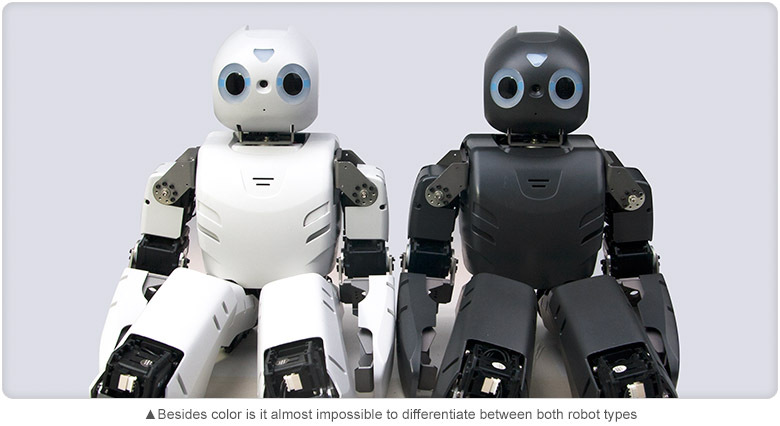 The overall appearance on ROBOTIS OP2 remains largely unchanged with respect to ROBOTIS OP. The only difference is the mini HDMI port connector from ROBOTIS OP2. 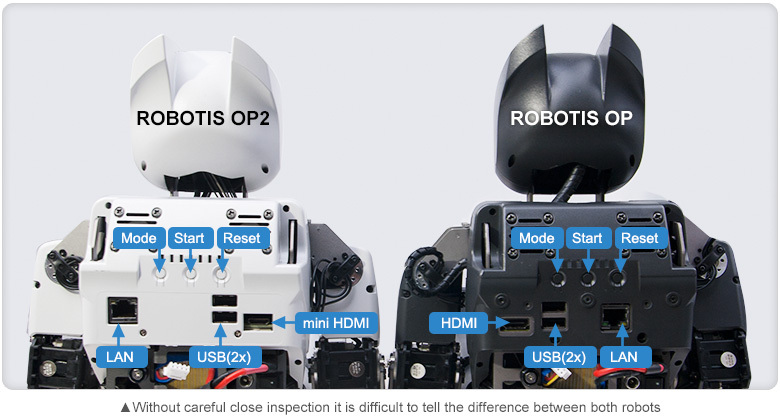 Also, the location of the ports differ from ROBOTIS OP2 with respect to ROBOTIS OP. The Mode, Start, and Reset buttons remain unchanged. ROBOTIS OP2 lacks the 3.5cm microphone and audio jacks. In practice these were not implemented with ROBOTIS OP so the loss of these ports from ROBOTIS OP2 will not affect robot operations.